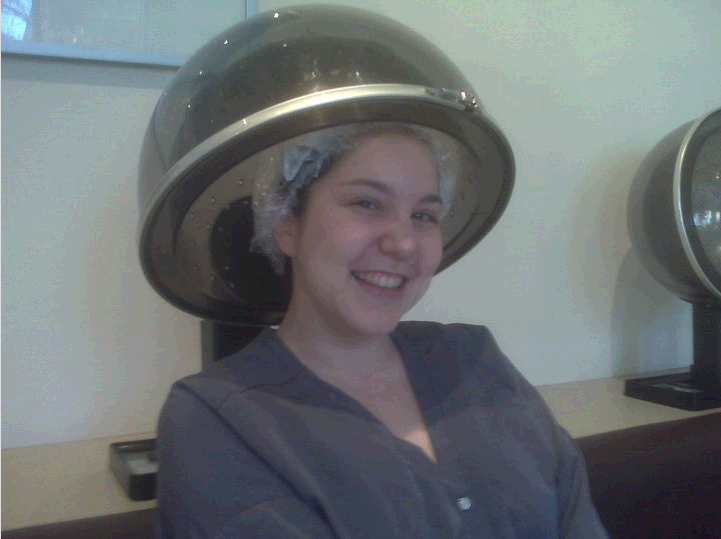 Last month, I was treated to an amazing hair treatment at Paul Labrecque -- the Lemongrass Deep Conditioning Treatment. My locks had been ravaged by the harsh winter weather and were in need of some MAJOR love, so it came at the perfect time! My stylist, Elana, began by applying a mint menthol scalp treatment to my locks. This very tingly step helped to exfoliate the scalp -- think of it like a face scrub but for your head! She then applied lemongrass oil from mid-length to the ends, which penetrated into the hair cortex and cuticle, thus moisturizing hair better than a regular conditioner. After an AMAZING scalp massage -- seriously, Elana’s hands are magic – she settled my locks into a shower cap and towel combo and set me under a dryer for about 20 minutes. The piece de resistance? Two shampoos with Paul Labrecque Repair Shampoo, rinsed in between with cool water! Elana said this was necessary to remove all of the oils. Milk and egg proteins restored, repaired and moisturized my tresses. She then conditioned my locks with Paul Labrecque Repair Conditioner and ran Paul Labrecque Repair Leave-In Conditioner through afterwards to protect my hair from heat styling. After a blowout, my locks looked healthier, shinier and smoother. What a lifesaver! For more information on the Lemongrass Deep Conditioning Treatment and other services offered at Paul Labrecque, visit paullabrecque.com. The Lemongrass Deep Conditioning Treatment at Paul Labrecque is $55.